I know we don't usually cover Magic: The Gathering or other CCGs/LCGs here on TGN, but when the story is this big, it's worth mentioning. Wizards of the Coast has decided that they will no longer have an MSRP for Magic: The Gathering cards. With the Guildmaster's Guide to Ravnica, Dungeons & Dragons players are getting their first chance to hop over to Wizards of the Coast's other major game, Magic: The Gathering. As one would expect, there's a lot of new characters and creatures to find over there, and having minis for them all would be nice. 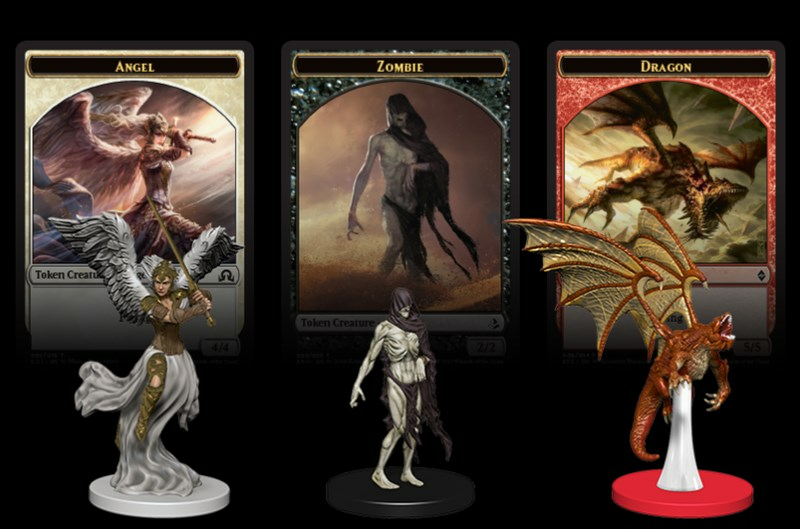 That's where WizKids comes in with their Icons of the Realms: Guildmasters’ Guide to Ravnica Minis set. You can pick up yours now. Saturday night's alright for fightin'. Get a little action in. Yes, it's Saturday, and while it's not night quite yet (at least, where I am at time of posting), that doesn't mean that it's not time for fighting. Though I'm not actually swinging my own fists around. It's my character in D&D. I hope you're out there swingin', too, be it with an RPG character or toy soldiers or on a video screen. Whatever your fight du-jour might be. I know you're here for some reviews, so let's dive into those. Today we have: Tiny Epic Mechs, Creature Forge Overwhelming Swarm, Waterdeep Dragon Heist D&D Minis, Tyranny of Dragons D&D Minis, Ravage: Dungeons and Plunder, Minerva, and Cat Lady. One of the books that Wizards of the Coast announced that caused a lot of stir was the Guildmaster's Guide to Ravnica, as the worlds of Dungeons & Dragons and Magic: The Gathering were clashing together. The world of Ravnica has many diverse races, and WotC is looking to make sure their stats are right. So they're looking for your help. They've posted an Unearthed Arcana with the races for you to check out and give feedback on.